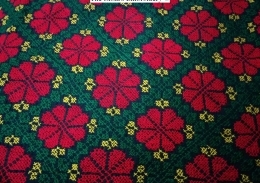 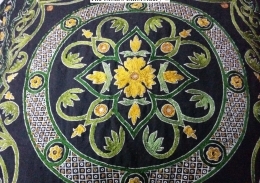 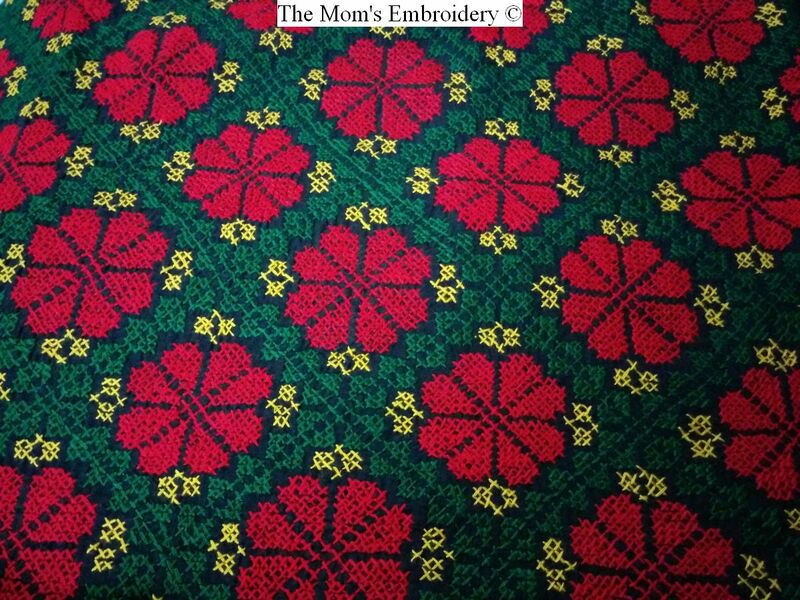 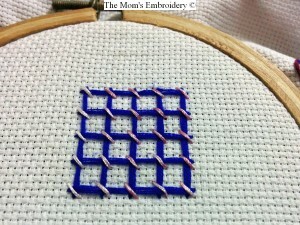 Trellis work is similar to the Basket stitch-1. 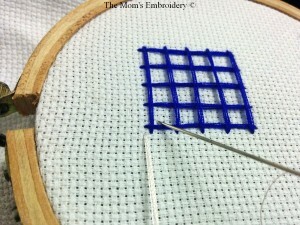 It is all about working on the grids. Trellis work is used to fill up big areas. 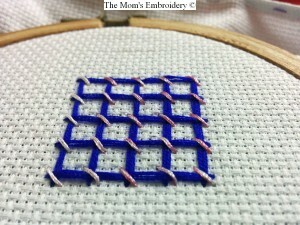 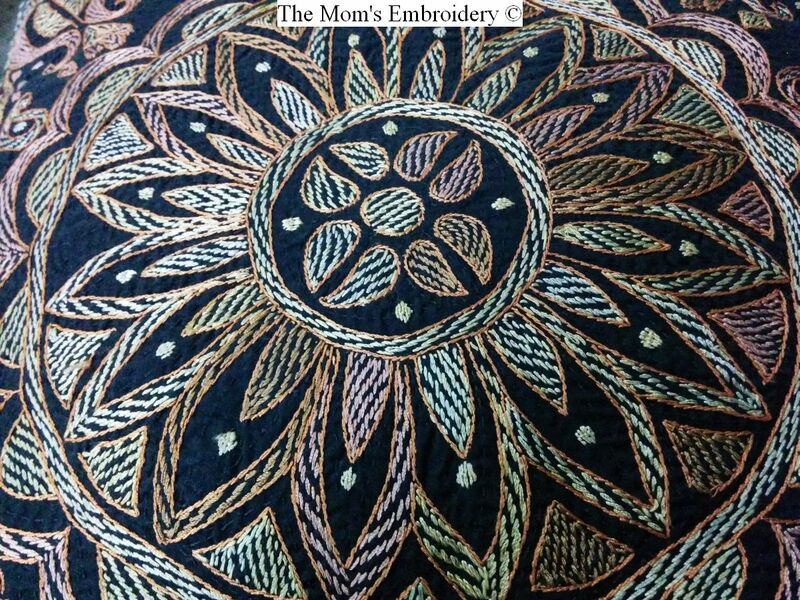 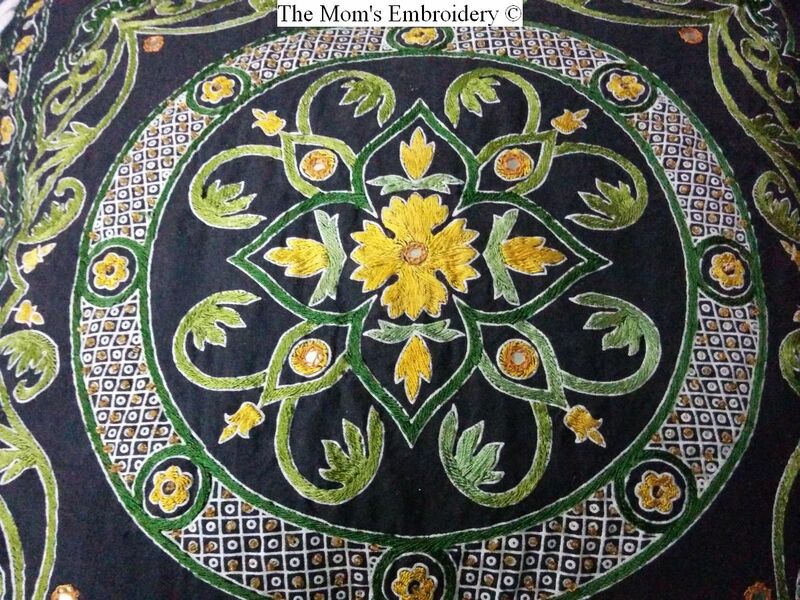 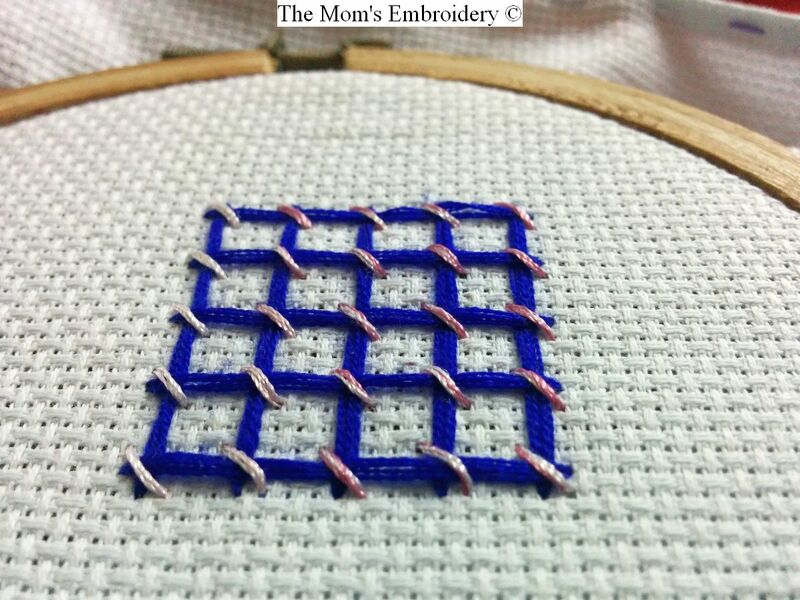 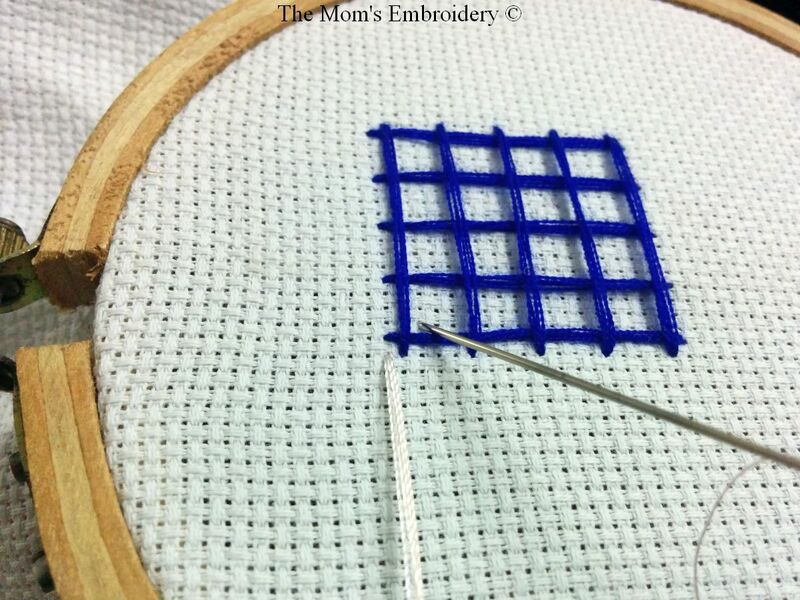 Just like the basket stitches, this one is also very easy to do. 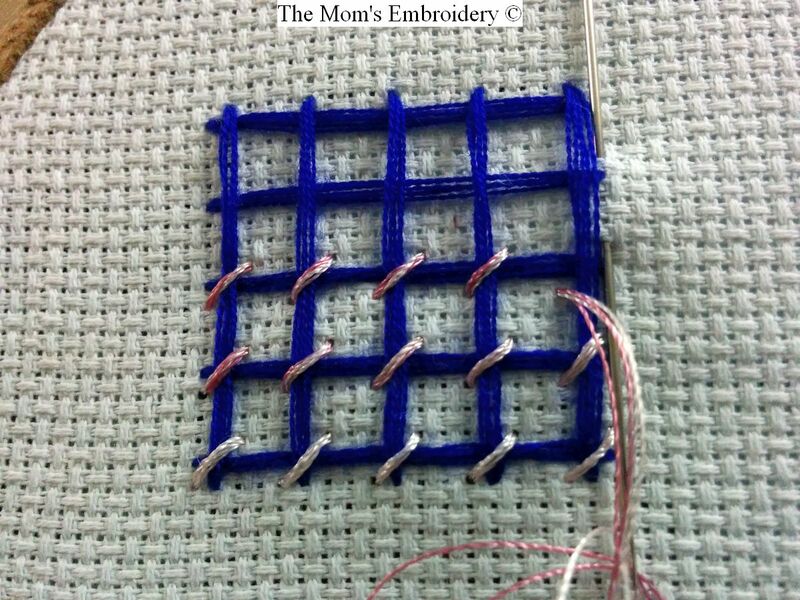 The main difference is, in Trellis work, while doing the vertical lines the thread can be pulled over the horizontal lines. 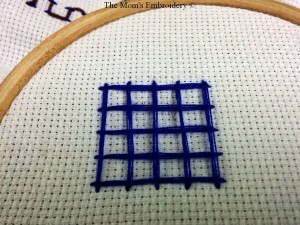 We do not need to run the thread up and down through the horizontal lines. 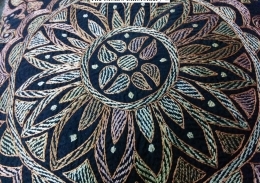 Take long straight stitches to complete the horizontal lines. 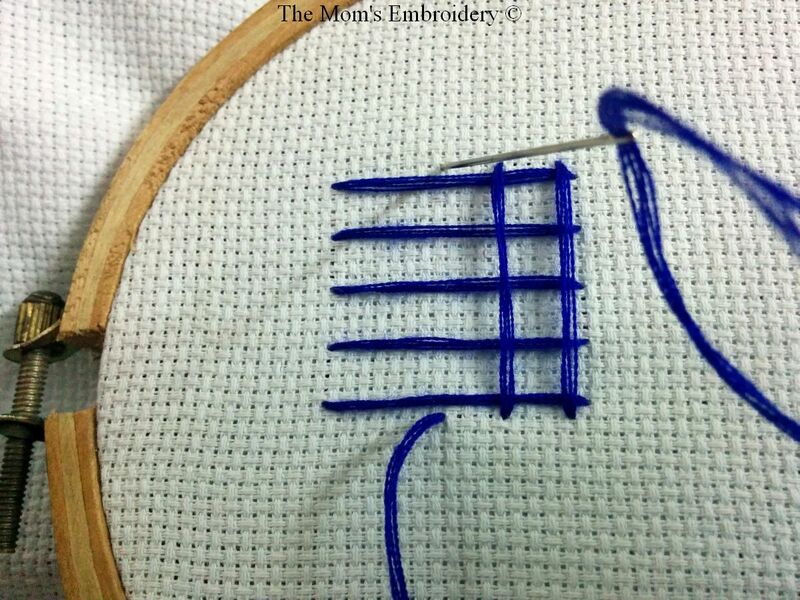 Complete the vertical bars as well. Just take the thread over the horizontal lines. 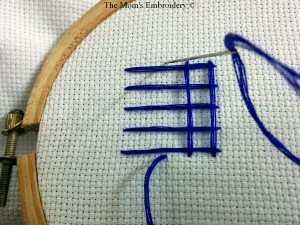 Don’t need to take the needle up and down through the horizontally stitched bars.